The thermometer still sail these days and the best thing to beats the heat is to have an iced drink in hand. 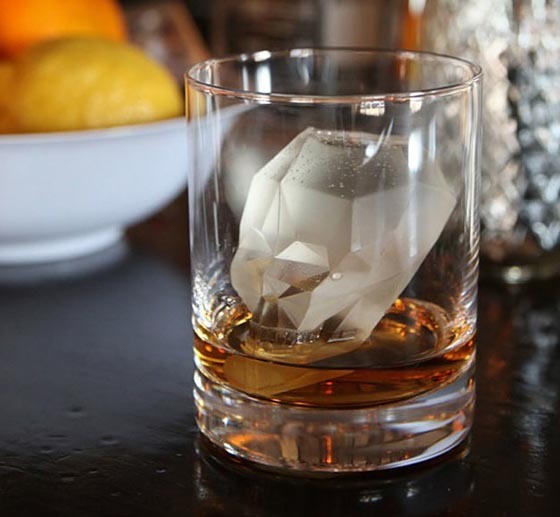 When it comes to serving a chilled drink, you can use cube-shaped ice like adults do-or you can use some unusual ice cube tray or ice mold to spice up your beverage a bit more. Here we have 9 Creepiest Ice Cube Tray and Mold for you. Maybe,it is time to try something unusual this summer. 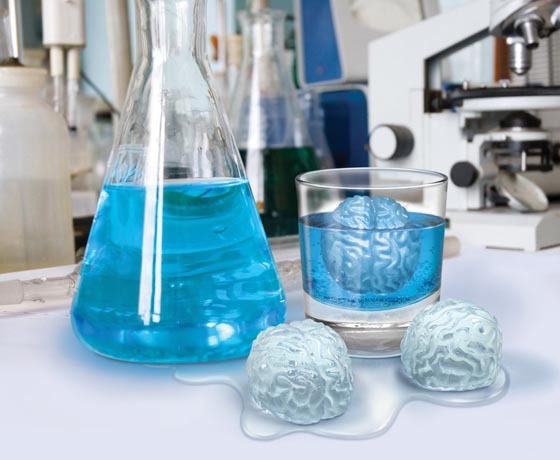 We humans are well known for our highly-evolved sense of humor – as evidenced by Brain Freeze, the ice tray that makes 4 frosty brains. So let’s celebrate our higher powers by raising a glass. Because a brain (not to mention a cocktail) is a terrible thing to waste. Not just any ice, though! 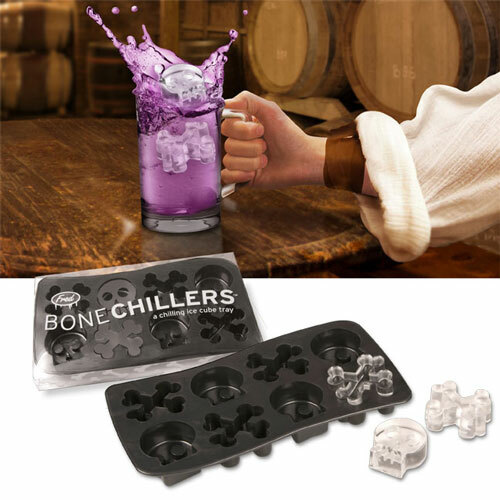 In an attempt to please pastafarians everywhere, we’ve released the Bone Chiller skull and crossbones silicon ice-cube tray. Soft food-safe flexible silicon rubber cranks out 4 skulls and 4 crossbones just as fast as your freezer can freeze them. For crystal clear ice, try boiling the water, letting it cool, and boiling it again before pouring the water into the tray. Twilight descends, beverages are poured. Hmmm, something’s missing from the drinks. Maybe they just need a little bite. So drop some stone-cold fangs into your Bloody Mary and feel that chill go right down your spine. Mwaha! Cold Blooded is molded from super-strong, dishwasher-safe pure silicone. Chill your drink eight times faster and funner with Coolamari in the bottom of your glass! 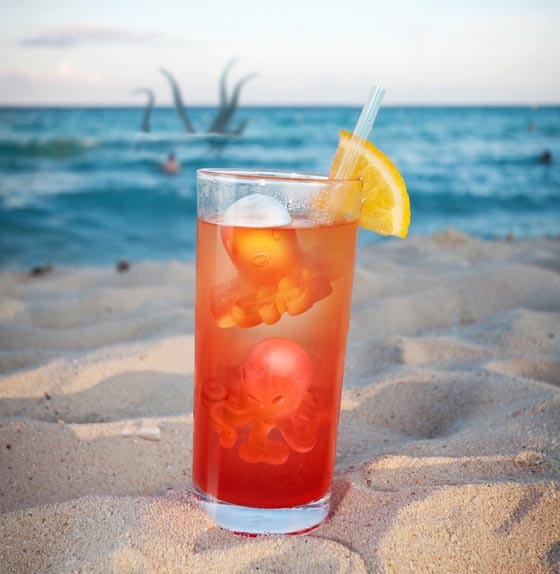 This seafaring silicone tray makes a well-armed aquatic army, so you can spread the octo-love around! Feeling a little anxious? Some people swear that a good old primal scream is all you need. 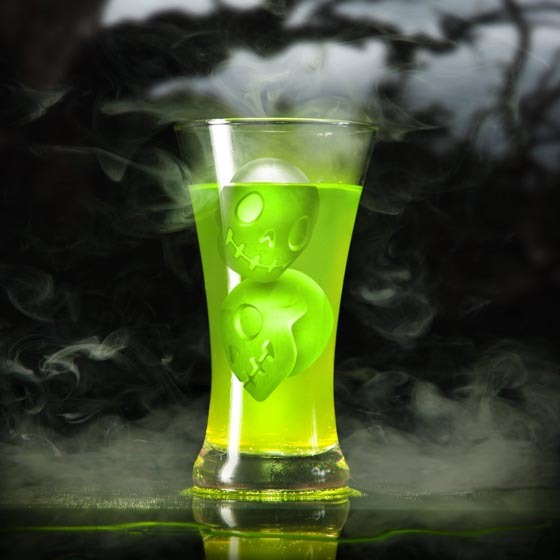 We have a better idea – release a few of our Ice Screams into your beverage of choice and revel in the relaxation. 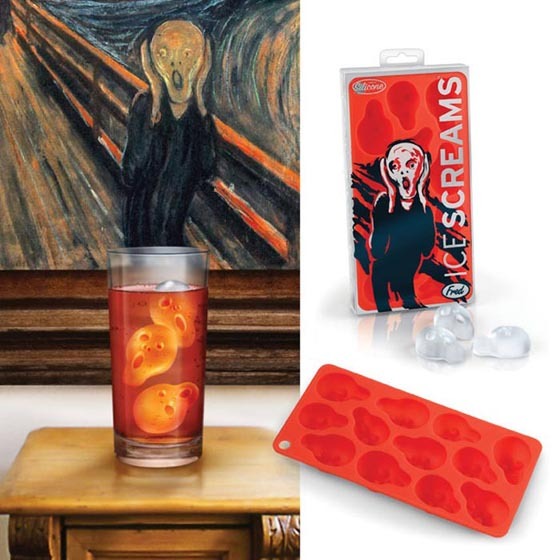 Each dishwasher-safe silicone tray includes 12 expressionistic renderings of Edvard Munch’s ‘The Scream’. 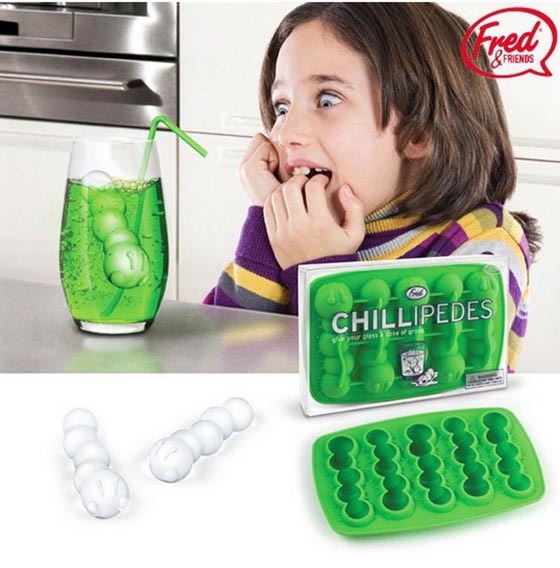 Chillipedes ice cube tray is a silicone ice cube tray containing 5 molds shaped like centipedes. The tray itself is a shade of green meant to invoke the idea of grass where, of course, centipedes live. Very funny looking in the glass with just a touch of buggy gross. 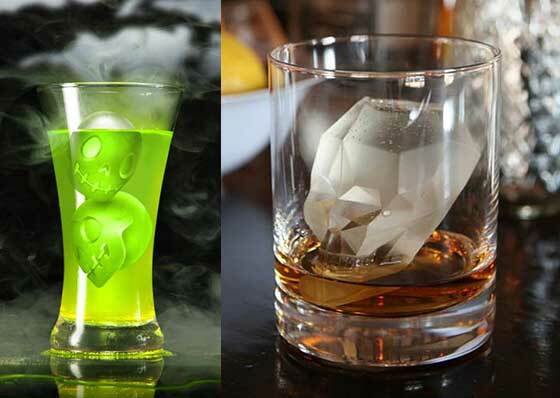 When it comes to serving a chilled drink, you can use cube-shaped ice like adults do—or you can show your eternal youth with custom ice replicas of your favorite toys. With a few basic supplies and a bit of patience, you can make a reusable mold to cast frozen replicas anything—even a baby doll head that’s just about the right size for a rocks glass. 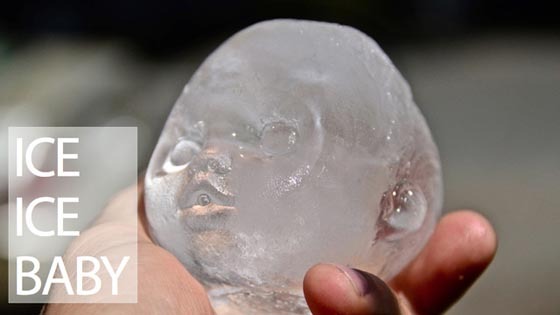 Here are the steps you need to follow to create that creepy ice baby head.